The United States’ current nuclear power process only uses about one percent of the total energy available from the fuel, resulting in radioactive waste that leaves a significant negative impact on the environment. Several other countries – such as France, Great Britain, and Russia – recycle nuclear fuel by reprocessing the used fuel to make even more energy. At the University of Notre Dame, researchers within ND Energy are thinking creatively about problems surrounding nuclear materials and are searching for solutions to reduce waste, decrease the cost of nuclear energy production, and increase efficiency and safety of the entire process. Burns and his research group have synthesized hundreds of compounds new to science over the past 20 years. His team has even developed a method that causes uranium – a naturally occurring element – to form clusters of uranium nano-molecules that could potentially be turned back into useable fuel. This process starts after a used fuel rod, which holds the uranium to produce nuclear energy, has been cooled under water for about 10 years. Once sufficiently cooled, the waste can be dissolved to form initial uranium nano-molecules, which are then filtered to purify the uranium. As a result of this research, new developments have been made in the use of filtration systems in the nuclear waste recycling process. The goal of Burns’ research is to not only support the recycling of waste produced in the fuel cycle, but also find potential solutions for waste left over from nuclear weapon production. For example, at the height of the United States nuclear defense program, Hanford, WA was a production site that separated 67 tons of plutonium. The resulting radioactive waste was stored in 177 tanks underground at the site, with tanks averaging a million gallons. Through the Hanford site’s cleanup effort, the most hazardous material will be moved to a repository where it will be re-buried underground. ND Energy, the Center for Sustainable Energy at Notre Dame, is a University research center whose mission is to foster and grow research toward sustainable and affordable energy solutions, to support energy-related education and outreach throughout the Notre Dame and surrounding communities, and to influence the national and global discussions of the most pressing energy policy issues and questions of the time. ND Energy plays a pivotal role in developing new and improved energy technologies and systems and focuses on developing engineers, scientists, entrepreneurs, and social scientists to be leaders in their disciplines and literate in the systems of energy production and use. 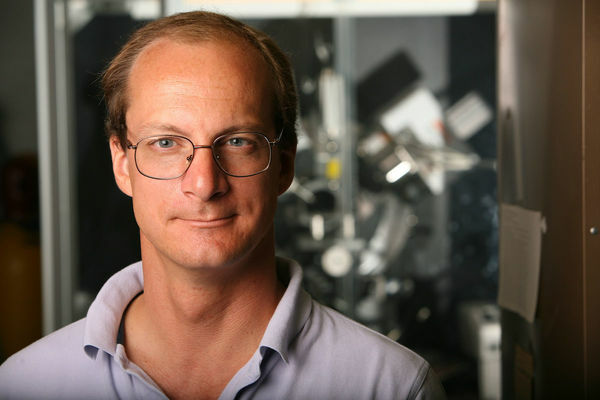 To learn more about Burns and his research – as well as his role as director of the Energy Frontier Research Center on the Materials Science of Actinides, a program funded by the Office of Science in the U.S. Department of Energy – please visit energy.nd.edu. Originally published by Brandi Klingerman at research.nd.edu on June 19, 2017.